We are delighted to welcome French philosopher François Noudelmann for a conference on the faces of migration. The arrival of migrants in Europe sheds a new light on the question of the family resemblances. Integrating strangers in a community depends not only on political commitment but also on imagination processes. Looking at the other as similar or dissimilar implies conceptions of archetypes and of genealogy. This lecture will propose a philosophy of affinities in order to reshape the family resemblances and to consider the changing patterns of a creolizing world. François Noudelmann, Ph.D., is a French contemporary philosopher and a specialist of Jean Paul-Sartre. He is a professor in the French literature department at the University of Paris 8. He has also regularly taught in the United States at both Johns Hopkins University in Baltimore as well as New York University. As an author François Noudelmann has written several books on the fiction of time, which study genealogical representations through philosophical and literary essays. He is also a radio producer at France Culture and hosted several shows such as Les Vendredis de la philosophie (“Philosophical Fridays”) as well as Macadam philo (“Philosophical Tarmac”) from 2002 to 2010. 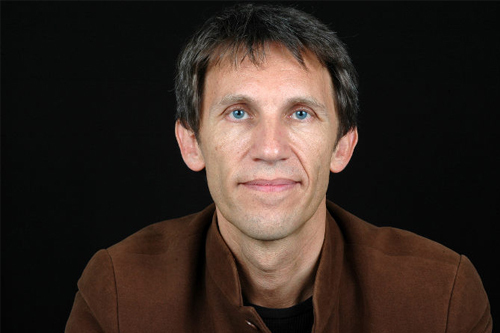 From 2012 to 2013 he hosted “Le Journal de la philosophie” (“Philosophical News”) also on France Culture.